Against Mast Brothers: Why chocolate experts hate the best-known craft chocolate brand in America. Beards. 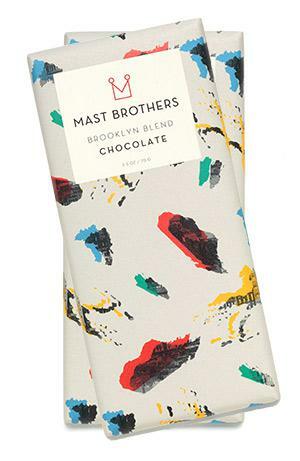 If you’ve heard of the Mast brothers, that’s probably the first word you came across, even before chocolate. Yes, Rick and Michael Mast make craft chocolate in Brooklyn’s Williamsburg neighborhood, and they have big, bushy beards. With features in magazines like Bon Appétit, a popular cookbook, and three retail stores, the Mast Brothers brand has become synonymous with artisan chocolate in the popular imagination. But utter the words Mast, Brooklyn, or even beards to anyone in the chocolate industry—makers, professional tasters, and specialty shop owners—and you’ll get a ranty earful about why he or she would never recommend it. How can the most popular craft chocolate in America be so disliked by chocolate experts? The answer to that question says as much about our changing tastes in chocolate as it does about the very definition of an expert. On a relatively warm day in December, I ventured into the Mast Brothers factory, right behind a tour group. “This is the good stuff,” the guide told the twentysomething visitors who gazed hungrily at the display table of bars wrapped in brightly colored, patterned paper. They quickly downed platters of samples: a single-origin bar from Papua New Guinea, a blend with sea salt, and another blend with vanilla and smoke. Behind a glass partition, workers wearing Gant sweaters and Wolverine boots were unbagging, roasting, and grinding cacao beans, then tempering the resulting chocolate into bars. It was a modern-day, hipster Willy Wonka factory, with all the sense of wonder and delight that the fictional king of candy enjoyed. When they started making chocolate in 2006, the Mast brothers were among the first bean-to-bar chocolate manufacturers in America. (They incorporated in 2007. )* Most chocolate comes from cheap, over-roasted beans that big corporations sell in bulk to smaller companies for them to process into individual bars. But bean-to-bar makers start with different varieties of raw, high-quality cacao beans to create handmade, artisanal products that are a league above the chocolate most of us grew up eating. Now there are dozens of bean-to-bar makers in the U.S., but Mast remains an ambassador of the bean-to-bar movement, educating the country about high-quality chocolate by making it hip, beautiful, and delectable. Chefs and restaurants have responded, especially in New York; places like Eleven Madison Park and OddFellows Ice Cream cite Mast’s local presence as one of the major reasons they use its chocolate. But does Mast Brothers’ chocolate live up to its reputation? Many skeptical specialists contend that Mast’s Brooklyn location, hipster image, and beautiful packaging are the real reasons for its popularity—not its taste. “If you were to ask the world’s top chocolate reviewers to rate bars, Mast Brothers would hit in the bottom 5 percentile,” said Clay Gordon, a Good Food Awards judge and the author of Discover Chocolate. “There are defects in every bar, and the chocolate is bad.” Writer, chocolate educator, and International Chocolate Awards judge Eagranie Yuh said she’s tried Mast bars that tasted stale or moldy. Both Yuh and Lauren Adler, the owner of Seattle-based specialty shop Chocolopolis, commented that some Mast bars have an unpleasant chalky texture. 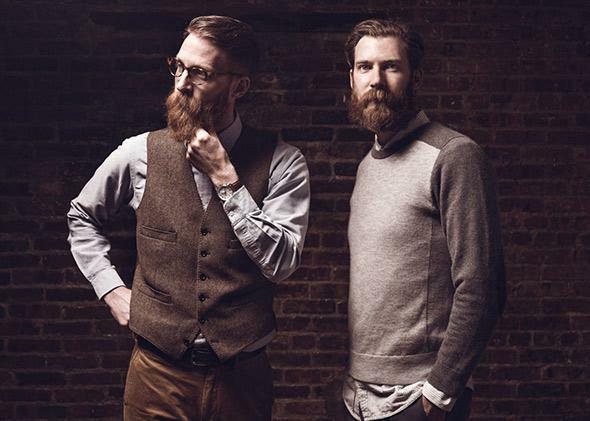 It’s true that the Mast brothers haven’t forged relationships within the craft chocolate industry, despite their strong connections with restaurateurs and consumers. Their absence is noticeable at events and in groups like the Fine Chocolate Industry Association. At a recent brunch for the FCIA at Dandelion Chocolate in San Francisco, makers and experts noshed on bagels and brownies while chatting about their favorite beans and catching up on one another’s personal lives. The community is small and tightly knit, and most people in it have never even spoken to the brothers. That makes it easy for Mast to become, in Yuh’s words, “the villain in the industry,” serving as a scapegoat for the chocolate world’s frustration with mediocre products. Most consumers are not in a good position to distinguish mediocre chocolate from nonmediocre chocolate, having been raised on milk chocolate bars that contain more sugar and vanilla than cacao. Hershey’s somewhat waxy texture and milky flavor defines chocolate for many Americans, even though it’s something of its own creation. But now shelves burst with high-end dark chocolate bars. It’s as though we’ve been drinking wine coolers for years and suddenly have access to a cellar of cabernet sauvignons. When expert tasters bite into bars, they look to see if the chocolate is, in Yuh’s words, “true to the bean.” As with wine grapes, each country’s cacao has its own flavor profile. For example, Madagascar’s beans are known for their fruity notes—but in the wrong hands, those berry and citric undertones can thunder. For that reason, professional tasters also consider whether a chocolate is well-balanced. Are there off flavors, like that of a No. 2 pencil? Or is it a rich chocolate taste with just a hint of, for example, fruitiness or nuttiness? “Enjoyment is part of it,” Yuh noted, “but it also has to match up with my mental checklist.” And Mast’s chalky, off-balance bars do not. Gordon is worried that just as Hershey’s trained us to think chocolate tasted like Hershey bars, Mast is training us to think good chocolate tastes like Mast bars. Because it’s the most popular craft brand in the country, carried at niche stores and in restaurants across America, consumers think that’s what craft chocolate should taste like. As a craft chocolate aficionado, Adler said, “It’s rare that I try something that blows my mind,” but for the rest of us, any craft chocolate blows our minds, because it’s so different from what we’re used to eating. We don’t have a good frame of reference yet. To be fair, neither do the experts. “There aren’t standards like in the wine industry,” said Adler. “There’s not a sommelier test, and everyone has a different palate.” Her advice to craft chocolate newbies is simply to try a lot of different bars to find out what you like. I’ve taken Adler’s advice, and I’m inclined to agree (mostly) with the experts: Mast Brothers’ bars are average. They’re not bad, but they’re not great, either, when you compare them with the top makers in the field of craft chocolate. The crème de la crème of the industry includes Rogue Chocolatier, almost universally agreed to make the best bars in the country, with big names like David Lebovitz and Martha Stewart praising its single-origin chocolate. (Be forewarned that Rogue’s bars are on back order almost everywhere.) Amano also turns out astonishingly good bars from all over Central and South America and has won a slew of awards. Patric makes epic single-origin bars as well as interesting combinations like PBJ OMG (a dark chocolate with peanut butter). And Fruition’s dark chocolate with milk (yes, dark milk chocolate) might just change your worldview. And if, after trying the gamut of bean-to-bar chocolate made in America today, you still prefer Mast Brothers, at least one person won’t be surprised: Rick Mast. 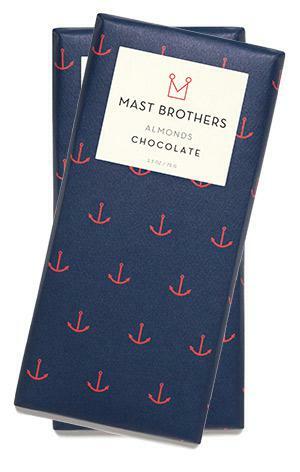 Update, March 16, 2015: This article has been updated to clarify that the Mast brothers started making chocolate in 2006, but they incorporated in 2007.